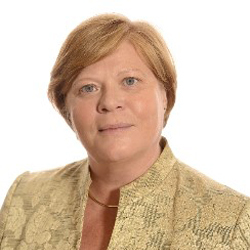 This year, Annette Nijs, a former Cabinet Minister for Education, Culture and Science in the Netherlands, and a former member of the Dutch Parliament, took on the position of, Chairman of Business School Netherland’s (BSN) leadership team, with whom she will work on the future growth and success of BSN for the next 30 years. “BSN’s success is all because of each one of you who has faith in BSN. Your dreams drive the ambition of BSN. The success of each one of you is our inspiration. You reflect who we are and what BSN is. The graduation is not the end of your relationship with BSN. BSN will be with you for the rest of your working life, but maybe also beyond that. Maybe it is not just for you, but also for your family. There will be new beginning from today, a new relationship from which you could continue to benefit from BSN.